Ordered by the Royal Air Force in December 1956 and built to contract 12829 this aircraft was delivered to No. 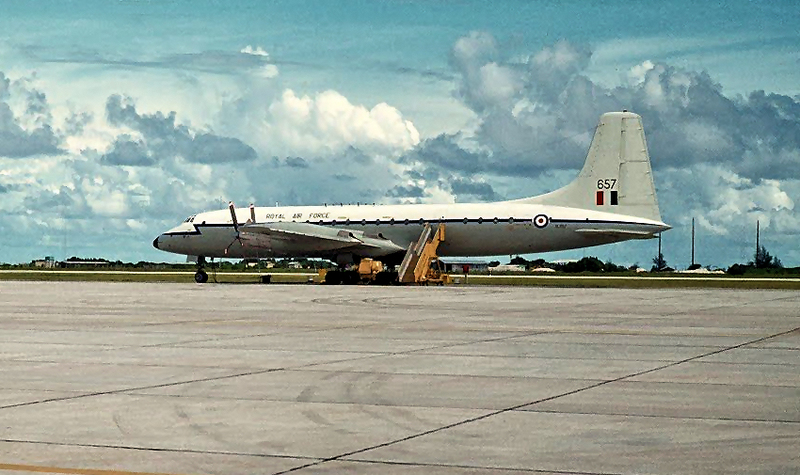 511 Squadron Royal Air Force Transport Command, serialled XL657 and named ‘Rigel’. Delivery to the Royal Air Force took place on 23 December 1959, she was transferred to the Britannia pool at RAF Lyneham on 24 February 1961 and was operated by both 99 and 511 Squadrons. 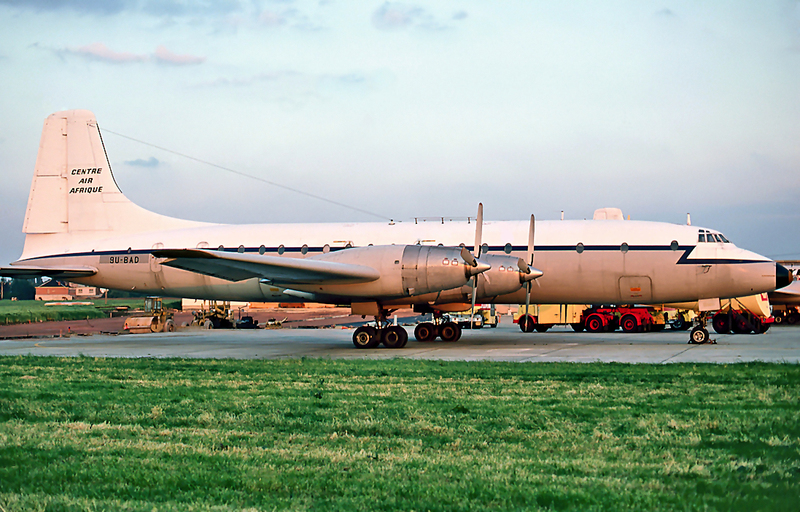 Following the disbandment of the Britannia fleet due to government cut backs, XL657 was withdrawn from service on 13 August 1975 and flown to RAF St Athan for storage.The total of her flying hours with the RAF was 18 781 and had carried out 8437 landings. Purchased by Monarch Airlines of Luton on 31 December 1975 she was flown to their base at Luton Airport and following an overhaul and minor repaint was then flown on to Kigali Airport, Rwanda as 9U-BAD on 10 March 1976 following purchase by Centre Air Afrique. Just under a year later 9U-BAD was impounded at Charleroi, Belgium for the non-payment of debts by the now bankrupt airline. There being no willing buyers for the airframe she was broken up on site.